Reach 20000 points to complete the level. This level has easy difficulty and you need to use few simple steps to complete this level. 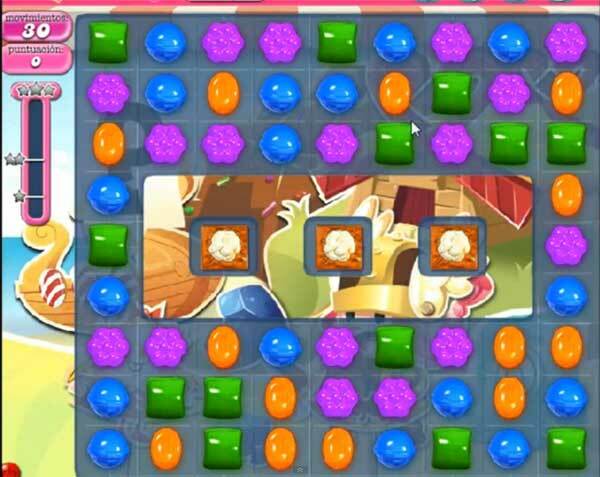 For this level you should try to play from the bottom to shuffle candies everywhere and it will help to break candies automatically plus give chance to make special candies. Try to make colorbomb by combining five same color candies and match with normal candy. It will help to have more other same color candies and will chance to make more colorbomb that will give chance to make more score to reach the target.